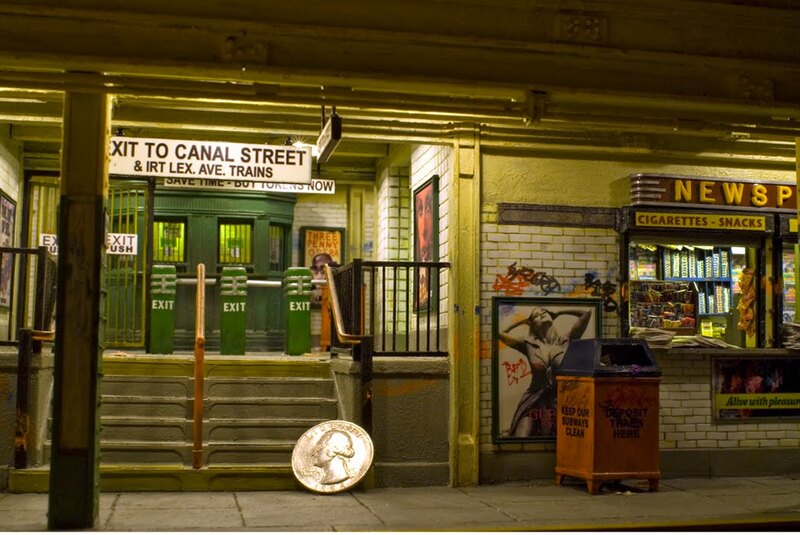 Urban miniaturist Alan Wolfson, whom I interviewed here, has completed a new piece: Canal Street Cross Section. 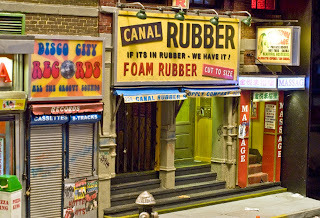 Here he preserves in miniature the beloved living artifact of a former world, the Canal Rubber signage, which looks exactly like the real thing. Wolfson always adds his own fantasies to his pieces, so they are not exact duplicates of the city scene as it is--or ever was. Here he inserts a wayward massage parlor next to Canal Rubber. He says, "I decided to throw in the Chinese massage parlor both to give it a touch of Chinatown and also to spice it up a little." Down below the street are two subterranean levels--the subway platform and the tracks where a graffiti-covered subway car is open and waiting. Here, a Brobdingnagian quarter has been dropped into the scene, calling attention to the smallness of the turnstiles and newsstand. To see more of this multi-layered piece of work, visit Wolfson's site. 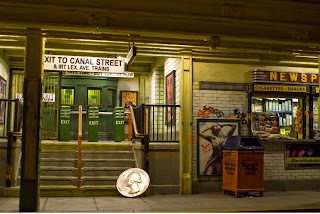 One of the joys of my youth as total nerd was going down to Canal street, often walking all the way from Hell's Kitchen, to get electronics and parts for whatever experiment I was involved in. I remeber there was one store that featured surplus 16mm movie cameras. Filmos. Boy I wanted one of those. His work is amazing. Thanks for sharing. And I look forward to seeing it on display this June. me too. thanks, David, for the heads up and the link. i love those stores on canal. i wonder how long it will be untill they are gone. you know for condos gyms gaps what ever. 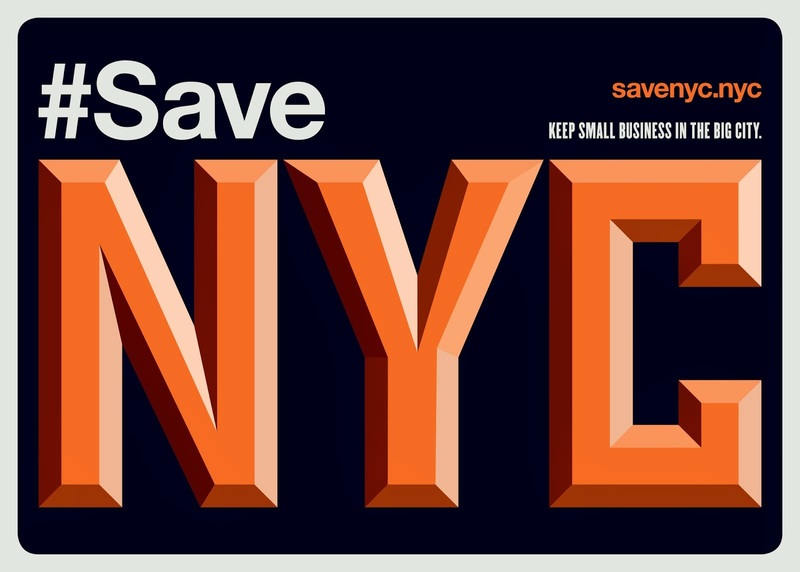 there wont be anything practitcal left in manhattan. keep me informed about the foam rubber place. Saw Wolfson's miniatures in a Soho gallery about 10 years ago. They are amazing! Canal Street was once one of the most interesting streets in Manhattan. One could buy French T-shirts or a tube for your Philco radio. Near Mott was a Chinese supermarket. Assume Mayor Mike has steamrolled all that into oblivion.